Details: TBD -- Check the IEEE Madison Section events page. Sign up at the Madison Section events page. Justin Reed presented an interesting talk on use of an "old" concept with a new twist. The "old" concept is capacitive couplers. The new twist, is fluid dynamic air bearings to maintain precise separation of capacitive plates. He also brought along demonstration devices to illustrate the concepts and in the process, generated a lot of discussion. C-Motive has developed a core concept of a rotating, self aligning, capacitor that can be used to transfer power, both electrical or mechanical. The C-Motive power coupler maintains a very precise and tight gap using fluid dynamics to hold the precise spacing needed for high capacitance. The rotary capacitor can be used to either couple power or to act as an arc suppressor for induced high frequency currents that erode motor bearings. The motor bearing protection device is a low-cost, but potentially very high volume market. It is needed where Variable Frequency Drives are applied to motors, causing high-frequency leakage induced arcing. C-Motive is also working on a high-torque capacitive motor/generator that uses the fact that you can vary a plate pattern and change the capacitance of the plates as they rotate, causing a current to rush in or out when attached to a fixed voltage bus. It requires force to rotate the capacitor plates -- applying mechanical input produces electrical energy output. Applying electrical energy in changes the force, producing mechanical work. 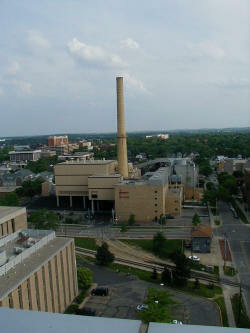 The IEEE Madison Section has partially funded a proposal from the University of Wisconsin Student Chapter that the Executive Committee determined to be a worthwhile project. We helped secure additional money from the IEEE Technical Activities Board to fund a the rest of of the work. See IEEE UW Student Chapter web site for information on the student chapter's current activities. I visited the project room during one of the Student Chapter project building sessions and was quite impressed with the event. Students sign up for fabrication slots and Chapter student volunteers supervise the fabrication activities. 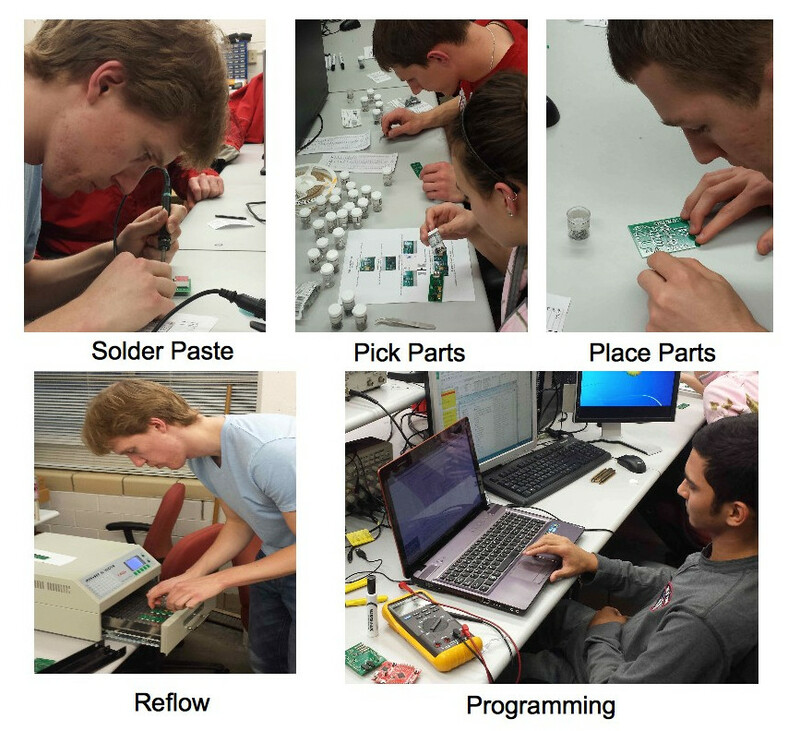 The projects have detailed build instructions and the students have to add solder paste, pick and place parts, and IR-Reflow solder the project. Volunteers then help debug/fix errors and if needed, program the processor on the project. The Student Chapter volunteers are doing an excellent job of helping students learn about the circuit fabrication process and are doing it under their own initiative. Please consider a personal or Corporate donation to the Wisconsin IEEE Student Branch to support these efforts. The Madison Section Affinity Group EMB18 has no recent recorded activity and will be dissolved at the November 2014 meeting of the Member and Geographic Activities Board unless someone steps forward to re-vitalize it. Please contact Tom Kaminski at tjkaminski-at-ieee.org if you are interested.